Dubai, UAE, August 27, 2018: While the global e-commerce market continues to grow, today’s consumers still like to visit brick-and-mortar stores regularly and retailers must rethink their business model in order to stay ahead of the curve. Based on PricewaterhouseCoopers’ latest Global Consumer Insights Survey, there remains a consistent desire for shoppers to have that physical store experience with 44% of the respondents saying they shop at a brick-and-mortar store on a weekly basis. The study, which assesses the shopping behavior, habits and expectations of over 22,000 consumers in over 27 locations across the globe, reports that the percentage of shoppers who frequent physical stores has grown consistently for the past four years indicating that traditional retailing can survive and thrive in the digital era. Smart Stores Expo, scheduled on September 4 – 6 at the Dubai International Exhibition and Convention Centre, is a trade show devoted to showcasing the latest trends and technologies shaping the future of retail. The exhibit will feature four key verticals – Build, Operate, Manage and Retail Leasing Pavilion – covering the entire breadth of the retail industry. TSC Auto ID Technology ME Ltd. FZE, in collaboration with MTN Technologies LLC, will be among those present at the expo to showcase their wide range of innovative retail solutions and services. A pioneer in Auto ID Products, TSC Auto ID Technology ME Ltd. offers a wide range of exciting retail technology innovations developed by TSC and Printronix Auto ID, considered as global leaders in the AIDC barcode printer industry. Some of these products are the 2in to 8in Desktop to Industrial Label Printers, RFID Printers and Mobile Printers (2in to 4in). “Retailers are finally discovering that technology can help them to streamline their strategy and operations with great ROI on investments. The growing pressures of data consolidation – from inventory management to pricing to optimizing supply chain – requires access to data and analytical tools for a business to operate more efficiently,” said Maqdoom Mohammed, Director Sales - Middle East and Africa, TSC Auto ID Technology ME Ltd.
Blake Armstrong, Director of Marketing & Operations, EXARK, noted that RFID Technology is playing an important role in modernizing the retail sector and revolutionizing operational efficiency across the supply chain. 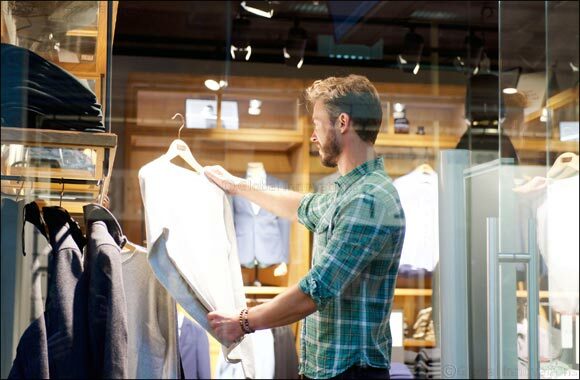 RFID helps in boosting sales and customer engagement. It improves visibility of goods flow from manufacture through distribution to selling floor and automates the inventory management. It also improves product availability and inventory accuracy to 98 per centage. Founded in UK, EXARK is a leading manufacturer in RFID and an innovator in IOT and Big Data Applications. Meanwhile, Muneeb Janjua, CTO, Integrated Units / FoodBucket, stressed that it is imperative for traditional retailers to explore the benefits of an information-intensive business environment in order to compete with online business. Integrated Units is a recognized leader in software development and deployment of large and scalable IT Systems for the retail industry. “Brick-and-mortar stores have to adapt to the changing market conditions and transform themselves digitally, else they will be left behind. There are numerous digitization strategies nowadays that can help a retailer retool their operations and keep up with the challenge. There is a constant deluge of exciting new technologies - beacons, smart digital hubs, POS and Kitchen Display Systems, connected IoT devices, etc. There is no one-size-fits-all technology but one thing is certain – digital retail is all about putting the customer first. Tailoring your offerings accordingly to provide rich and seamless in-store experiences is the way of the future. It is certainly a game-changer that delivers astounding results,” Mr. Janjua concluded.